The Etudes were begun in the mid-90s and new music is still being added to this collection as I write these notes in 2003. Their purpose was two-fold. First, to provide new music for my solo piano concerts. And second, for me to expand mv piano technique with music that would enhance and challenge my playing. Hence, the name Etudes, or “studies”. The result is a body of work that has a broad range of dynamic and tempo. I intend to complete the second set of ten etudes, of which the first six are already composed, in the next few years. The second set of 10 Etudes (now referred to as Book 2) has turned out quite differently. Just as Etudes 1-10 (Book 1) took up the technical matters of piano playing, Book 2 is an extension of a musical journey undertaken in the last 10 years. The subsequent Etudes have been about the language of music itself – developing new strategies regarding rhythmic and harmonic movement. The last Etude (No. 20) was composed just after Godfrey Reggioï¿½s latest film, Visitors, and follows closely its music. There were a number of special events and commissions that facilitated the composition of the Etudes by Philip Glass. Etudes #1-5 were composed in 1994 for Dennis Russell Davies, a frequent Glass collaborator, on the occasion of his 50th birthday. Etude #6 was commissioned by the Sydney Festival in 1996. Etudes #12-13 were commissioned by Bruce Levingston in 2007 and premiered in New York at Lincoln Centerï¿½s Alice Tully Hall. Etude #17 was commissioned for the 25th Anniversary of the Menil Collection in Houston, TX and premiered in 2012. The final three works, Etudes #18, 19, and 20 were commissioned by the Perth Festival in 2012 in honor of Glassï¿½ 75th birthday and premiered on February 16, 2013. Thank you: Dennis Russell Davies, Martin Goldray, Rainer Mennikin, Heribert Schroeder, Brucknerhaus Linz, Jonathon Holloway, Linda Brumbach and Pomegranate Arts. MAKI NAMEKAWA’s recent engagements include the Royal Concertgebouw Orkest Amsterdam, Munich Philharmonic, Munich Chamber Orchestra with the Ligeti Piano Concerto, Dresden Philharmonie, the Stuttgart Chamber Orchesra and Bruckner Orchester Linz. with Seattle Symphony Orchestra conducted by Dennis Russell Davies Namekawa performed Hovhaness’s Lousadzak. In 2012 Namakawa performed Arvo Pât’s Lamentate at Carnegie Hall New York and Stravinsky’s Concerto for Piano and Wind Instruments with the Bamberger Symphoniker. 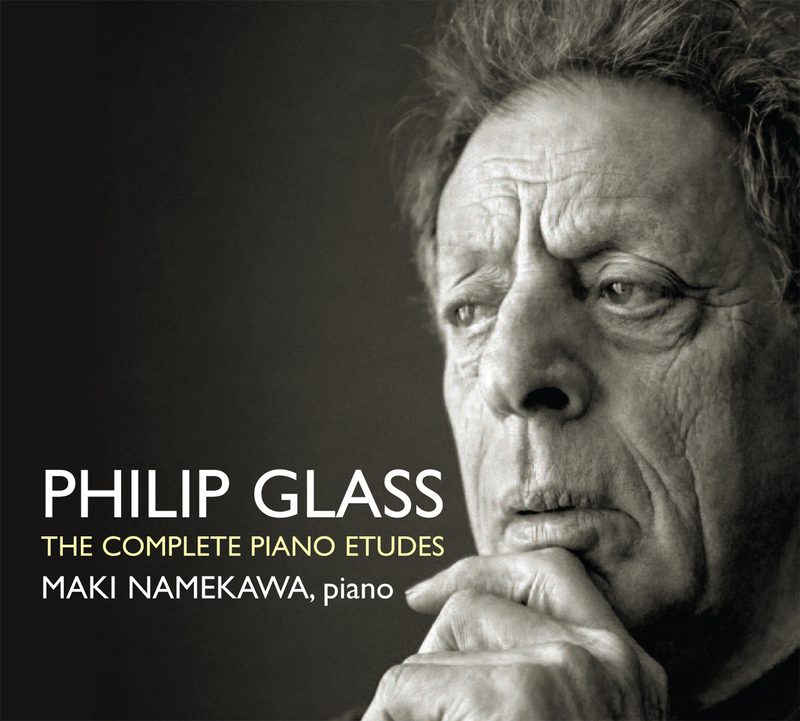 In 2013 Namekawa performed at the Perth International Arts Festival with Philip Glass the world premiere of the Complete Etudes for Piano by Philip Glass. Since 2005, Maki Namekawa and Davies have been performing together as a piano duo in Europe and the US including at Lincoln Center Festival in New York with US premiï¿½re of Philip Glassï¿½ Four Movements for Two Pianos, followed by the world premiere of Glass’ Stoker at the Morgan Library in New York. A fre- quent guest of Ruhr Piano Festival where in 2013 the Namekawa-Davies duo performed the world premiere of Glass’s Two Movements for Four Pianos with Katia und Marielle Labï¿½que.